Are you ready to purchase a new or used car but aren’t sure where to start? Here at County Ford, we know the key to a great car-buying experience is research. There are a lot of resources you can use to start gathering information — including our own model comparisons. Below you’ll find a summary of our Ford comparison pages, plus a link to the full comparison if you’re interested in learning more. The 2016 Ford Fusion easily outshines the 2016 Honda Accord thanks to premium trim levels, quality craftsmanship, and advanced technology. 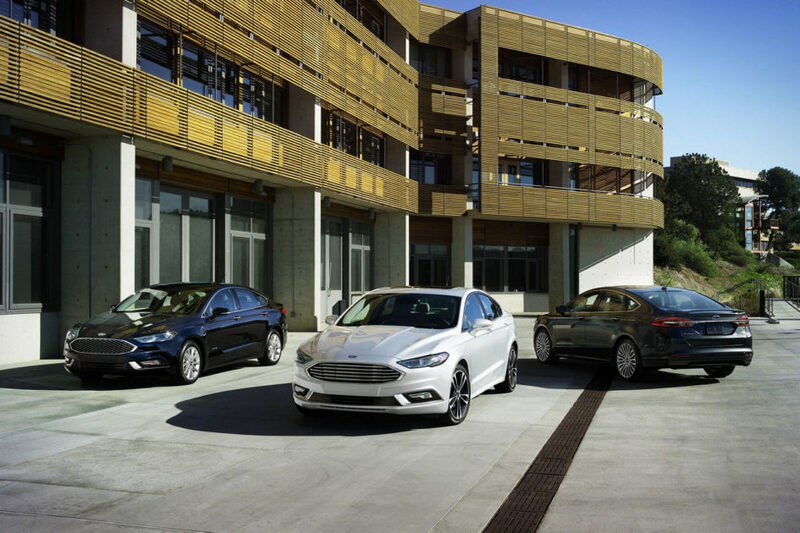 Voice-activated technology like SYNC with MyFord and SYNC with MyFord Touch® help take the 2016 Fusion a step ahead of the competition. By offering more trim levels than the 2016 Camry, the 2016 Fusion also provides more options — so every driver can match their version to their tastes. Enjoy more legroom and plenty of features when you choose a 2016 Ford Fusion. The 2016 Ford F-150 is a true powerhouse. Forged from high-strength, military-grade aluminum steel, this pickup can help you accomplish the toughest of tasks. Boasting a 5-Star Overall Safety Rating from NHTSA, the 2016 F-150 is a perfect addition to your fleet. The 2017 Ford F-150 is America’s best-selling pickup and offers more power on the job site than the 2017 Chevy Silverado. In addition to more power, the F-150 also provides more connectivity with cutting-edge tech like SYNC3® and a BoxLink® tie-down system. Offering an ideal blend of comfort and capability, the 2017 Ford Edge surpasses the 2017 Chevy Equinox. The Edge features a more powerful standard engine, plus a wider variety of engine options. The 2017 Ford Escape is a superior choice for those seeking a versatile and powerful compact crossover SUV. Enjoy many available technology options like a hands-free, foot-activated liftgate and other driver-assist features. The 2017 Ford F-150 and 2017 GMC Sierra 1500 may be evenly matched in towing capacity, but the F-150 pulls ahead with 1,000 lbs. greater maximum payload than the GMC Sierra 1500. Drive with confidence behind the wheel of the F-150 thanks to a 5-Star Overall Safety Rating from the NHTSA. Offering a blend of unique style and driver-centric technology, the 2017 Ford Fusion easily outshines the 2017 Accord. Personalize your Fusion to your tastes with the many trims, packages, exterior color, and interior material options. The 2017 Fusion is both functional and stylish — making it the obvious choice in comparison to the 2017 Toyota Camry. Voice-activated technology like SYNC®3 helps keep you connected, wherever the road may take you. The main difference between the 2017 Ford Edge and 2017 Jeep Cherokee is how it feels when you drive it. If you prefer a clunky, full-size SUV-like drive, then the Cherokee is for you, but if you want something smoother and more powerful, then opt for the Edge. 2017 Ford F-150 vs. 2017 Ford F-250No matter which F-Series model you choose, you’ll have access to the legendary strength and durability of Ford trucks. These two trucks are equal in available technology but differ in available towing capacity so that you can match yours to your needs. The 2017 Ford Focus and 2017 Ford Fusion both offer quality technology and performance, but one is compact and one is midsize. The compact Focus is ideal for city driving, while the midsize Fusion offers more trims and other options. What’s the main difference between the 2017 Ford Explorer and 2017 Ford Escape? How you plan to use it. Choose the Escape for an SUV with great fuel economy or the Explorer for more towing power. If you’d like to conduct more research on your favorite models, take a look at our model research pages or contact our experts with questions.